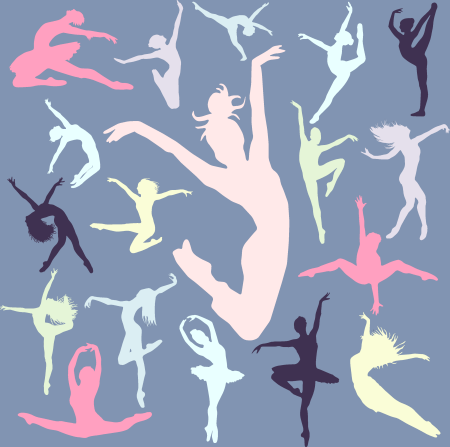 Each ballet level progressively builds on the strength and technique of the prior ballet level as dancer’s increase their experience and skill, and continue to develop as confident and capable dancers. The ballet barre combinations learned at the early levels require a high level of concentration and good memory; in the center, the dancers will build strength and work on their coordination and musicality. At the upper levels, dancers are expected to reach a very good level of independent work. They are expected to be self-motivated and to demonstrate desire and determination for self-perfection. The technique class moves at a much faster pace than the previous levels. We offer Pre-Ballet classes. See the Youth Dance page for more information. Entry-level ballet class for ages 8-13, learning the basic exercises of the ballet barre using full turn-out, proper placement, arm control and articulation of the feet. Centre work includes balance control and simple jumps and turns. Builds upon the knowledge and fundamentals of Ballet I, adding stretching, and balancing in open positions at the barre. Centre work solidifies single pirouettes, pique and chainee turns and beginning petit allegro steps. Continue expanding understanding of proper placement, core muscle control and weight transfer. Work exercises at barre a tempo, adding more complicated stretches and higher extensions. Centre work includes double pirouettes, petit allegro steps, and learning about grande allegro. Solidifying knowledge, understanding and execution of Ballet II exercises and steps. Begin adding beats to petit allegro. Builds upon understanding and executing concepts from previous Ballet levels, including strong work through the feet and ability to hold higher extensions. Centre work includes adagio exercises and more complicated turns – attitude, arabesque, fouettes, and petit allegro beats. Work on perfecting Ballet III skills including ease of complicated pirouettes, managing beats in petit allegro, and adding more difficult grande allegro movements. In this class, students will work on technique fundamentals, learn introductory lyrical dance movements, and establish a foundation for dancing this style with control and strength. The class is taught as an “old-style lyrical” class, or as it is called today a “lyrical-ballet” class, that is not very far removed from ballet and requires a good understanding of ballet technique, steps, posture, and positions. The class will emphasize the key fundamental elements needed to build lyrical dance, like pas de chat, arabesque, turns, & expressive quality of movement. Additionally, students will learn how to combine the classical steps with non-traditional elements, such as floor work and lyrical turns, to create new and fluid movement patterns. Boy’s ballet is a boy’s only class that combines basic dance techniques with task-based movement. Our goal is to improve coordination, physical condition, muscular strength, flexibility and endurance. Boys will work on weight management, on improving balance and spatial awareness, and on enhancing social skills, self-esteem and general physical confidence. Our mission is to use dance and movement to prepare and inspire young boys for a successful future. We offer a teen ballet class. See the Teen Dance page for more information.